Chrome plated brass nut. Non-toxic and sanitary. Truly kink resistant. Flexible but durable even with multiple bends. 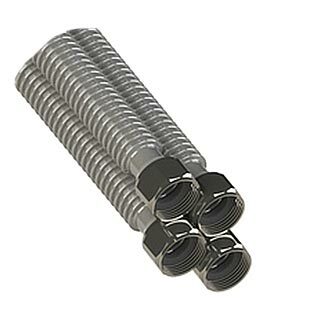 Tube resists work hardening allowing for more flexibility and easier installation. No dielectric union required. 100% leak tested. High corrosion-resistant stainless steel.